The BoBunny Blog: May Sketch Challenge!! Hello and welcome to May! You know what that means, it's time for a brand new fabulous Sketch Challenge! I'm excited to share with you my take on this month's all new sketch. My project today features our fantastic Alphabet Silver Foil Rubons. Not only are they beautiful to use for your title work, they can also add that extra accent as well. The collection I'm using is called Carnival. The photo is of our dog, Radar who was decorated during nap time by our youngest, who was busy playing instead of actually napping with the dog. The layers and circles in the sketch design make it easy to use multiple photos or just one. 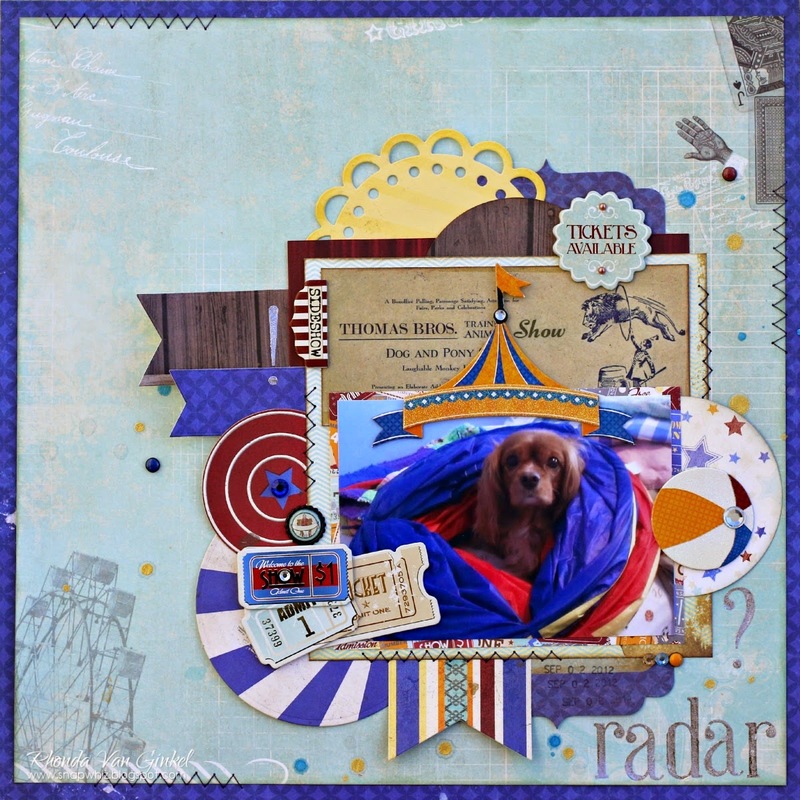 Here I've used a variety of circles, some are punched and some are the layered chipboard, chipboard or brads. I built the background two layers first. Next, I worked on the collage pieces of the layers separately, tacking them together with small amounts of adhesive as I went. Once I was happy with the placement, then I added my Alphabet Silver Foil Rubons to create the title and accents. Next the collage is adhered and machine stitched to ensure it's secure and my accent Rubons. Then I covered the design with scrap papers and dropped splatters of coordinating Glimmer Spray to accent the design. And now, it's challenge time! Here's how it works! Each month we will share a new sketch and what one of our designers was inspired to create with it. 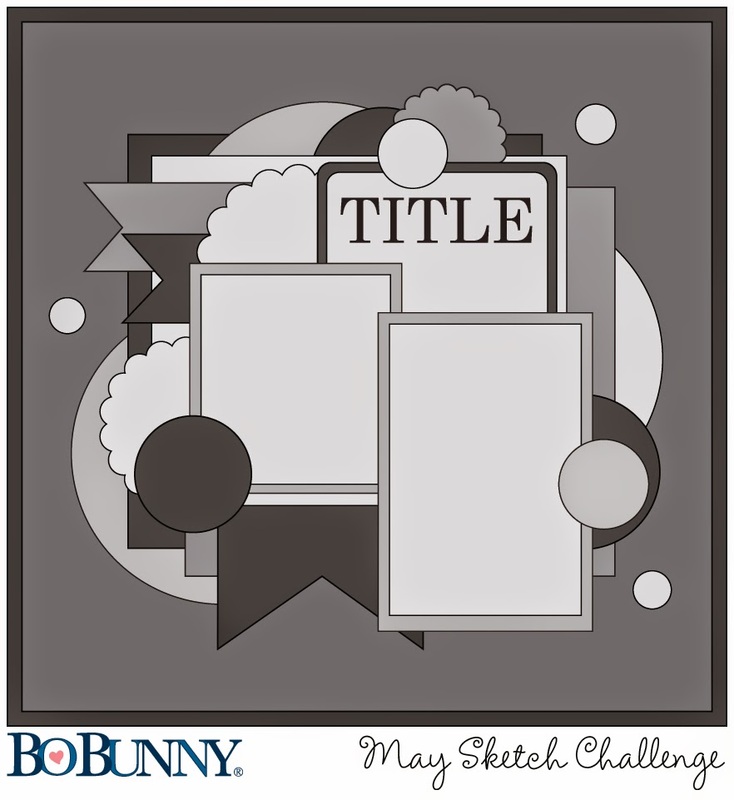 To play along all you have to do is create a project inspired by the sketch using BoBunny products and then share it with us using the InLinkz widget below. When you enter, you will have the chance to be randomly selected to win this spectacular prize package full of BoBunny goodies featuring the sensational #ForeverYoung collection! 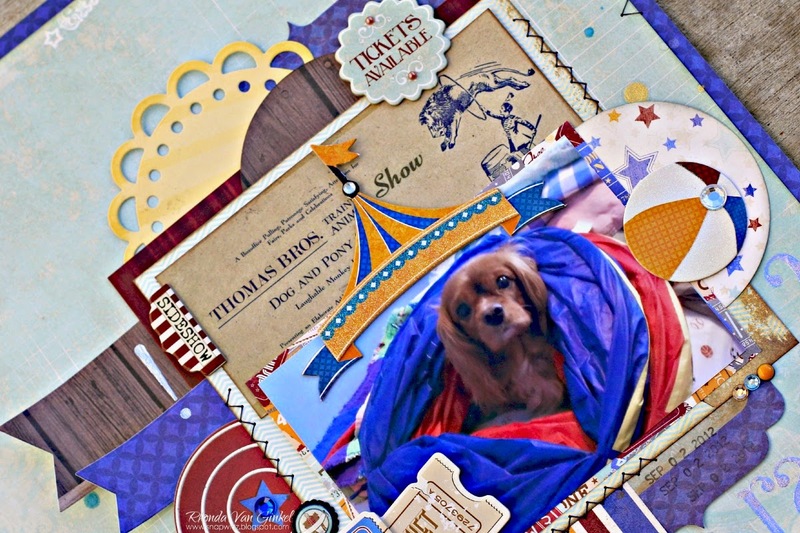 Now it's time to announce April's Blog Sketch Challenge winner! Congratulations to......#2 Elizabeth B! Please contact us at bopress@bobunny.com with your address so we can send you your prize! 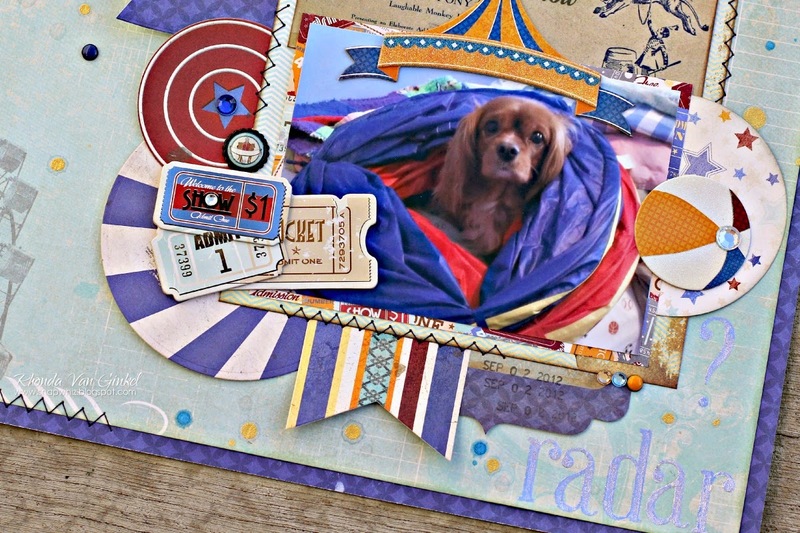 I absolutely LOVE how You used Carnival for the layout of you pup! That is a fabulous sketch. I haven't done any challenges lately and I will have to give this one a go! I am so excited about this new sketch!! I can't wait to try it. Beautiful page and what a fabulous prize! Can the entry be a card or must it be a scrapbook layout?